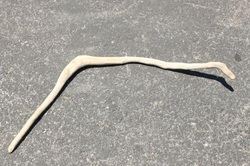 This beautiful piece of driftwood was found on the shores of Lake Erie. Smooth all over, rounded edges; beautiful piece. 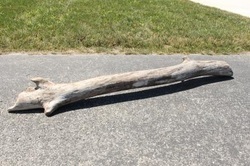 This huge beautful piece of drifwood was found on the shores of Lake Erie. Smooth, perfectly rounded edges, soft to the touch. This is a very sturdy, strong piece of wood.